POM proposes alternative methods of interacting with nature: a dialogue with the nonhuman world rather than an assertion of control. 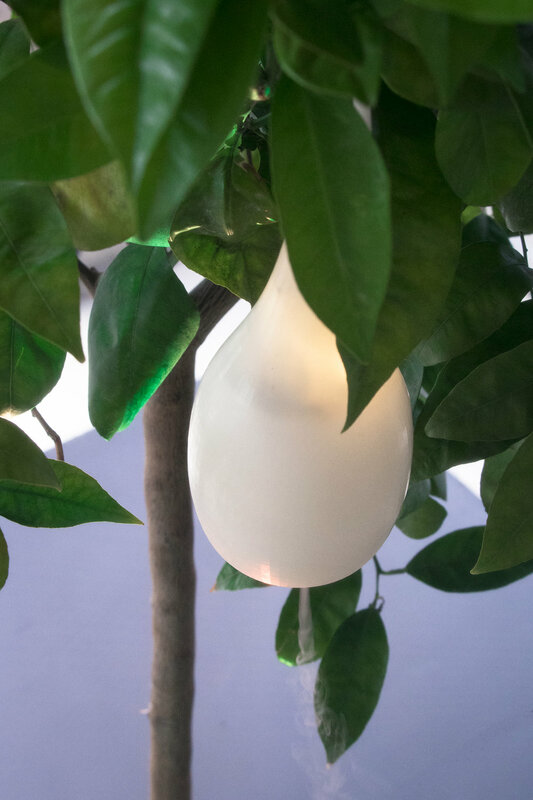 The project is a commentary on the future of food, and how we as a biological species take from, and give back to, our biological surroundings. 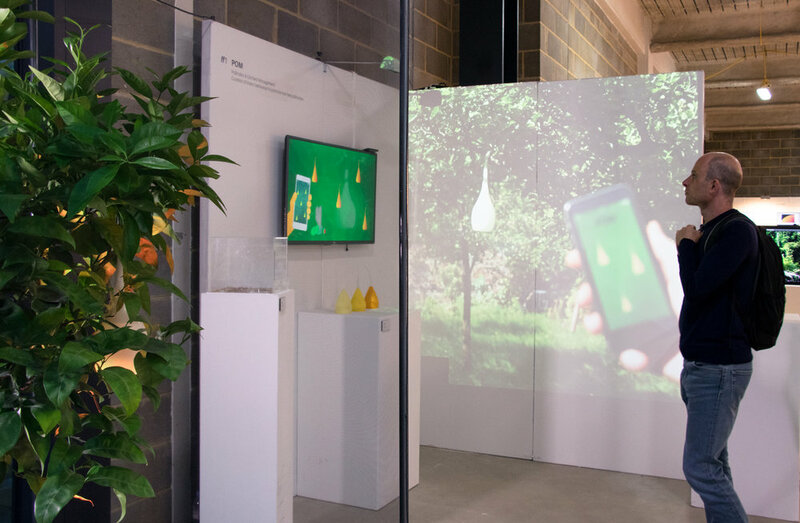 We drew inspiration from existing forms of inter-species communication, and created a speculative product to aid pollination in arable farming, where almost 75% of output benefits in some way from pollinating insects. Yet bee pollinators have a hard time today, thanks to factors relating to intensive farming and climate change. In the USA, commercial bee populations are moved for thousands of miles to pollinate certain crops, and pollination services can account for over 1/10 of farm costs. POM's solution is to call flies into service as targeted crop pollinators, by releasing pheromones from strategically-placed nodes in a farm. The pheromones guide them towards the nectar of the crops rather than their usual forage diet; meanwhile, the nodes also monitor the pollination rate and environmental data, and help farmers understand likely fruiting schedules. In this way, POM reduces agriculture's reliance on bees and allows farmers to be more flexible in a changing world. For the exhibition I 3D printed a sample 'node' which was exhibited on a flowering lemon tree; I also built an enclosure around the ensemble, which contained a small population of flies. Alongside this, a VR experience and a number of prototypes helped further invoke this future world of high-tech farming. POM was a finalist at the 2017 Biodesign Challenge held at MoMA in New York, where it was the runner-up to the Intrexon Agriculture award. Following the Biodesign Challenge, the team and I took the concept forward and successfully pitched for start-up funding at the InnovationRCA incubator. I decided to leave POM in late 2017 but the team has continued developing the company as an agricultural tech start-up. In early 2018, POM changed its name to 'Olombria'.